2019 PUMA Night Run is crossover with ＂BAOBAONEVERTELL＂, launches series memorial products for runners to have additional purchase. We keep the widely acclaimed cap towel with new design pattern of BAOBAONEVERTELL, maintain the practicality and origin design for all participant to wear. In addition, we launch full new styling pillow as unique article of daily use. Let’s bring up with these great memorial additional purchase, have FUN night with PUMA Night Run! It's the very first PUMA Night Run launches joint-name products with BAOBAONEVERTELL, to lead every runner run through famous city scenes of Taipei and Kaohsiung, to immerse in the unique fascination of PUMA Night Run. The towel cap is made with heavy material that can wipe your sweat rapidly, make each of your night run experience much comfortable and cooler!! PUMA Night Run launches joint-name product with BAOBAONEVERTELL, and produce an Energy Pillow that can let you rely on and encourage you to deal with every challenge with apowerful and brave mind, and get through all difficulties!! PUMA Night Run launches a sport belt which is specially designed for runner, with cool appearance and practical functions, let you carry all your supplies. The reflective design also helps you improve safety and be thepumpfor you to breakthrough nights of Taipei and Kaohsiung!! The products are for participants of PUMA Night Run to purchase along with the registration process. The purchase qualification of the special offers above are only for those who successfully register 2019 PUMA Night Run. The three registration ways(Lucky draw, PUMA consumer registration, Campus Run registration) are qualified to purchase the special offers above, and should choose along with the registration process. The charge of the special offers above should be paid along with registeration fee before the deadline. 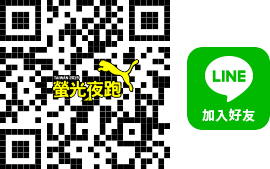 The special offers above will be sent a week before PUMA Night Run (TPE 2019/4/6；KAO 2019/4/13) to the address each participant fills in the registration process. The further related matters should be followed with latest announcement according to PUMA Night Run official website. ※The color of the product will vary depending on the screen settings, please refer to actual products.